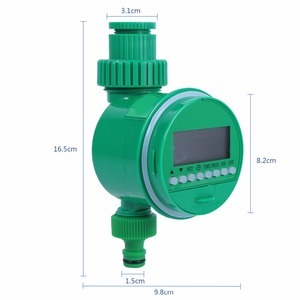 Ningbo Yilin Aguatech Co., Ltd.
United Arab Emirates digital battery irrigation timer controller garden sprinkleR mechanical water timer Item United Arab Emirates digital battery irrigation timer controller garden sprinkleR mechanical water timer Brand Name FUJIN Model Numbers FJK1005B Colour green Working temperature 0-40&deg;C Working Pressure 0-400KPA Irrigation Frequency min 1 time/day,max 16 time/day,max 1time/3 0days,memory function Display LCD,standard time,status of irrigation control Quality high Price Reasonable FUJIN Garden & Irrigation Equipment CO. ,LTD is a manufacturer specialized in irrigation facilities, including Micro sprinkler Series, Atomized Sprinkler Series, , Drip Arrow Series, WaterTap Timer , Valve Box, Buried Sprinkler, Filtering Tools, Drip Preventing, Quick Connector, Punch, Tubes and so on. 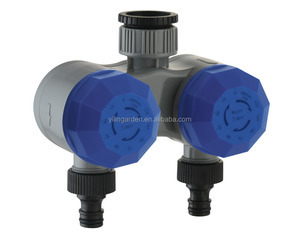 Our products are extensively used in varies water saving irrigation areas such as greenhouse planting, seed cultivation, farmland, gardens, gyms, courtyards and golf courses,and the Atomized Sprinklers also can be used as air cooled equipment in henhouses,cowsheds, etc. 3. Competitive costs supported by stable raw materials supplier. 4. Strong overseas sales team to assist customers to develop sales strategy 5. Fast, efficient and professional online service,like email, skype, whatsapp tools. 6. Complaint to our general manager ( if not satisfied with anything, ensure timely reply within 24 hours 7. Multilingual communication services (English, Spanish, Japanese etc. 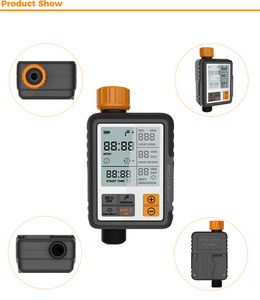 Hangzhou Canrich Electromechanic Co., Ltd.
2-hour Garden Water tap Timer H igh quality garden water timer easy operating; Competitive price; Irigation water timer turns water off automatically, saving time. It works like an egg timer, no batteries needed,w aters up to two hours 120min. With active and enthusiastic Sales team, they will be the bridge of you and factory. 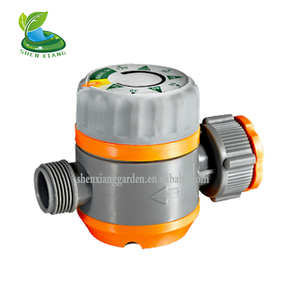 Our mission is try our best to offer a reliable product with reasonable cost to our valuable customers. If you are interested in us, don't hesitate to contact us. 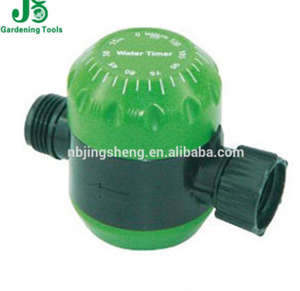 Ningbo Yangteng Xingye Machinery Co., Ltd.
Alibaba.com offers 1,028 mechanical water timer products. About 13% of these are garden water timers, 10% are timers, and 1% are time switches. 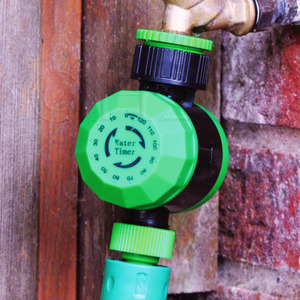 A wide variety of mechanical water timer options are available to you, such as free samples, paid samples. 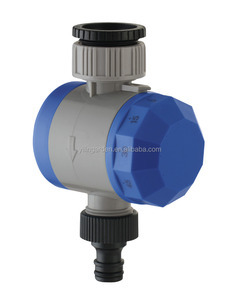 There are 935 mechanical water timer suppliers, mainly located in Asia. 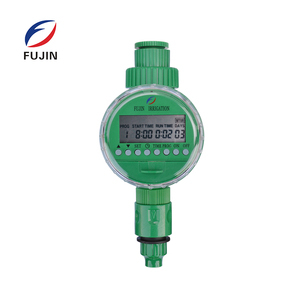 The top supplying countries are China (Mainland), Taiwan, and Hong Kong, which supply 98%, 1%, and 1% of mechanical water timer respectively. 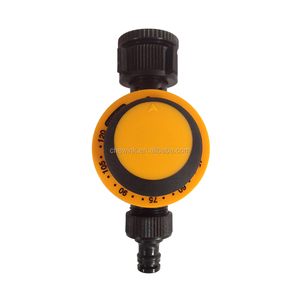 Mechanical water timer products are most popular in Western Europe, North America, and Mid East. You can ensure product safety by selecting from certified suppliers, including 360 with ISO9001, 127 with Other, and 14 with ISO14001 certification.